When you hear the name Proscan, immediately you think of quality-built, high performance televisions at reasonable prices. The folks at Proscan have once again delivered on these core values with their all new, 40-Inch Full HD, 1080p LED TV with built in ATSC Tuner! Be the boss of your Television with provided full functioning remote control AND use one of the many inputs and outputs to connect your favorite device! 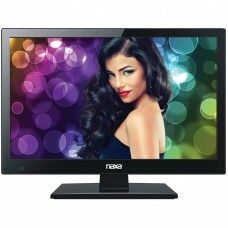 This Tv features 1080P full high definition resolution, delivering the highest picture quality. HDMIx3, VGA, Audio/Video, PC Audio, Headphone, Coax and an RF Output! 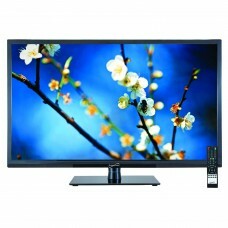 Perfect for your bed-room, den, living room or anywhere you want a great looking large screen TV! They’ve loaded up this ergonomic, wall mount ready television with every feature you need. The built in ATSC Tuner for instance, allows you to watch HD programming over the air without service fees! The brilliant screen is amazing from all angles….the sound quality will certainly impress your friends and family. Now it’s your opportunity to enjoy pure beauty. From the proud makers at Proscan, the leader in LED Televisions!